Can I tell you just how much Grammie is boiling over with joy? How blessed we feel, to have TWO beautiful grandaughters in our arms! Seriously, is there anything MORE precious than newborns? When our daughters were growing up, I had so much fun buying them matching outfits. So you know…Grammie HAD to buy the grand babies matching p.j.’s for the photo shoot! Look, I was able to capture a picture of them smiling. A miracle indeed! 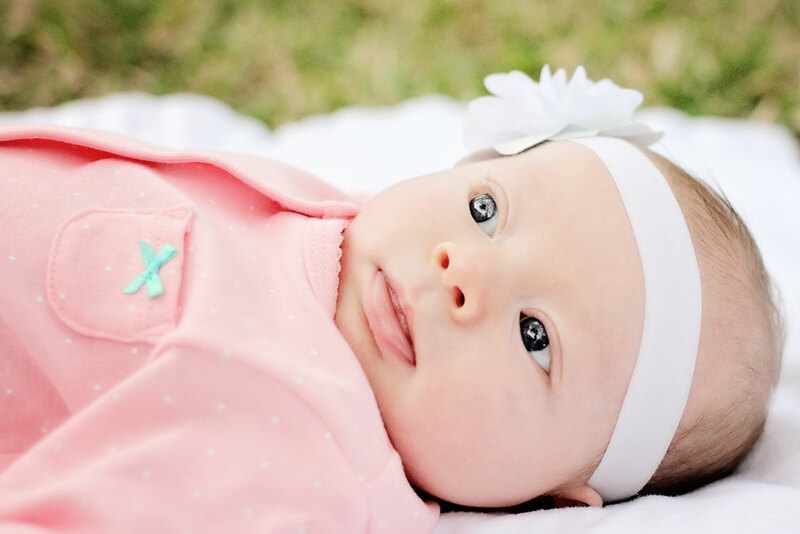 Here we have Ahnalise Grace…she has been blessed with her mama’s blue eyes. 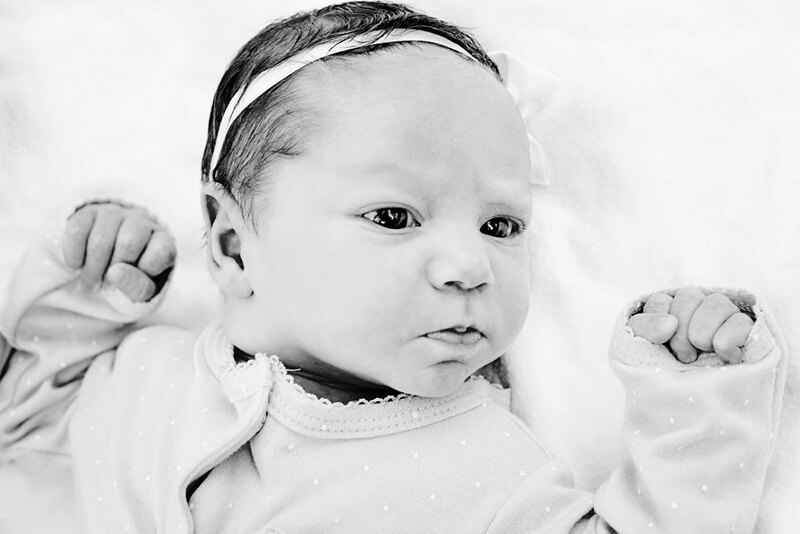 She also knows how to have a good pout…just like her Mama. Smile. 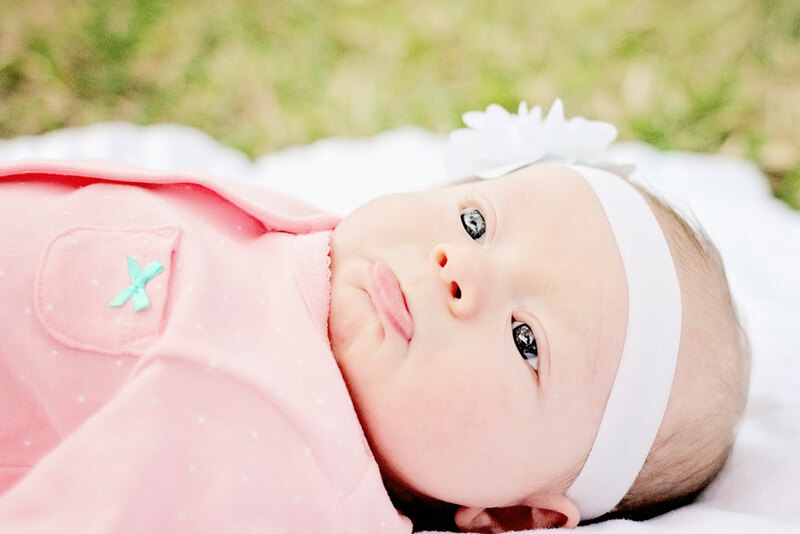 Here we have Marisa Renee…she has been blessed with her papa’s cole black hair and olive skin. She is still so young, that we haven’t seen her true personality yet…but that will be just around the corner, for that we are sure. I wanted to add this last picture, to show you what happens when you put your subject into the light! Look at her eyes transform!. I didn’t touch her eyes in Photoshop….incredible huh?! We don’t get to see Ahnalise like we do Marisa, so when we do get to capture her, I will be heavy on the photos of her whenever I get the chance. Have a great Easter my friends. They r beautiful !! We just found out we will b grandparents in April , for the very first time… We r extatic!!!! Oh how exciting!!! I am soo happy for you!!! Oh, how wonderful, they both look soooooo cute and adorable! 🙂 ❤ ❤ Congratulations, dear Laurie. Wuauuuu… Una Serie Impresionante, Muy Buenas… Un Saludo. Adorable girls, they could pass as fraternal twins 🙂 Congrats!!! These babies are just beautiful! What little cuties! How can you let them out of your sight? Nancy, I am getting nothing done but holding these babies…lol. Blessed you are – and they look like two sweet cherries! Beautiful Laurie. Your truly are blessed. Happy Easter. just keep holding on to that dream! Laurie, they are absolutely precious!! Wishing you and your beautiful family, a truly blessed Easter. I’m a puddle of smiles! Gorgeous shots. Lovely baby pics. Lucky for everyone. They are so beautiful, precious! Thank you so much for sharing your joy with us, Laurie! I bet you had a wonderful time with this photo shoot. Happy Easter! Your pictures and writing are full of happiness. God bless all of you! Such beautiful babies ~ lovely photos! Happy Easter to you and your family. Easter Blessings to you and your family Laurie. Such lovely photos of the little ones. 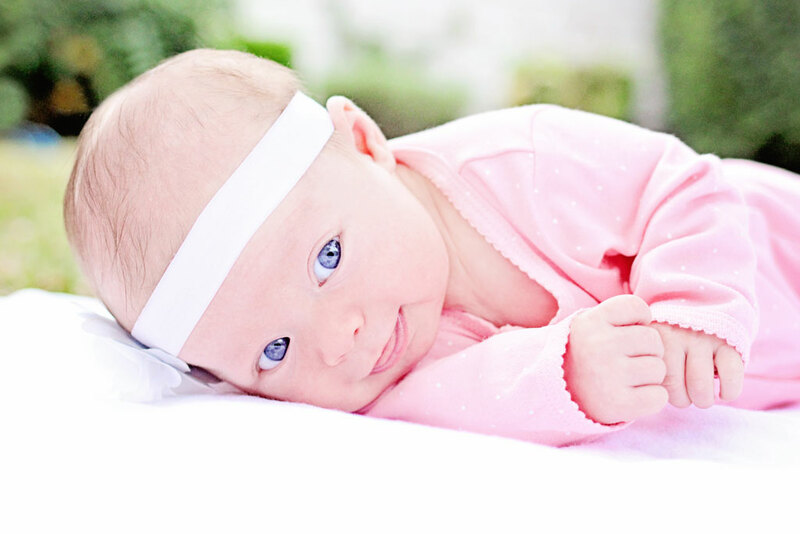 Your babies are always beautiful.You have a lot of luck.Ahnalise Grace has beautiful blue eyes..That’s incredible. So precious; you are indeed blessed. What beautiful baby girls! Each is such a blessing! Laurie, They are beautiful baby girls!!! Enjoy! Laurie, Ahnaliese and Marisa are absolutely precious. Hope you have a Happy Easter with Little Man and Marisa. Love those kids and these photos!!! They are so precious!! Have a wonderful Easter! OMG they are both so beautiful! They are going to be best of friends even if they don’t see each other all the time!